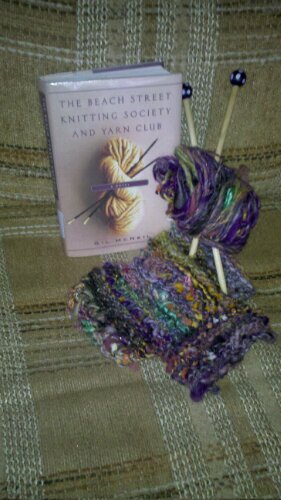 Posted on March 22, 2013 Posted in 2012, 2013, Baby, Knitting, Miranda, Ravelry	. For many knitters, we reach different times of the year when we realize, “Oh crap. It’s September already! Christmas/the holidays are only a few months away! I have to get knitting!” That’s normally the case for me. But with spring here (by definition only and not by example of the weather we’re currently having! ), I’m itching to get back to my knitting again. Posted on June 20, 2011 Posted in 2011, Knitting, Ravelry	. It’s amazing what you can find on the internet. What’s funny is trying to explain how you came across something. I was logged into my account on Ravelry.com and in the forum for A Good Yarn, someone posted a link to this video (note: clicking on this link will open the video to a new screen as I couldn’t get the video to embed as an image here). 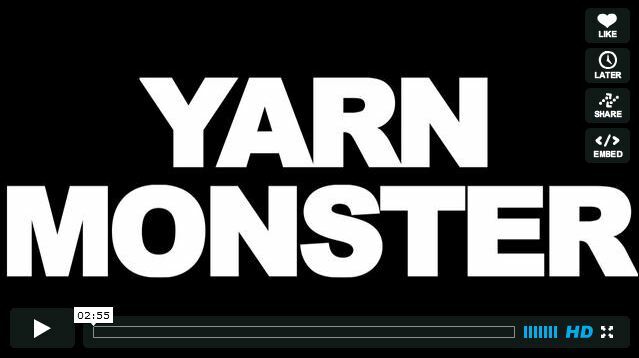 Yarn Monster from toddtreece on Vimeo. Posted on February 18, 2009 Posted in Knitting, NL	. While in St. John’s, I wanted to visit a couple knitting related places. On Monday, Stacey and I ventured over to Wool Trends. It’s a local yarn shop that (unbeknownst to me) has been in existence for 11 years. I guess it’s true that you don’t notice something unless it’s relevant to you. From the outside, the store looks like a house. But it’s much more than that… it’s basically 2 1/2 floors of yarn, yarn and more yarn! There were some various types that were new to me and more than a few I’m not ready to use just yet (e.g. sock yarn). I did pick up some yarn to make a cute hat (when I start it I’ll post something here). Otherwise, the visit was more for the fun of it and a base reference so that I know what’s available for future interest. The next stop was Nonia, which is located downtown on Water Street. Side note: That’s Stacey in the photo (I was busy taking photos… that’s usually the case these days). I’ve heard that Nonia has some lovely things there and even yarn for sale… unfortunately, it seems that they’re closed on Mondays!! Because we flew back to Toronto on Tuesday morning, and that it was obviously impossible to grab a Tardis and go back in time (Doctor Who reference), I was sh*t out of luck. This was both annoying and disappointing, but ah well, it’s something I’ll make sure to plan for when we return in June for Darleen and Mark’s. When living in St. John’s, I had heard of Nonia, but again, it didn’t really have an impact on me, nor did it seem like a significant place to visit. But now that I’m a knitter, it’s caught my attention. It was my mother-in-law who lives in Barrie that suggested I visit Nonia during this recent visit. It’s interesting – since moving to Toronto, I’ve become more aware of smaller stores and boutiques in general. For anyone familiar with Queen West in Toronto, there are lots of shops around the Queen W and Spadina area. Unfortunately, there are more and more chains or “box stores” popping up. But the smaller stores that do remain are unique and some are fun to visit. Of course like anything, there are some places that are pretentious and snobby… but that’s to be expected. In St. John’s, the downtown area, there are shops that have been standing there for decades and owned by families for generations. It’s true that some things are overpriced and more luxury purchases, but I think when we live in St. John’s someday, it somewhere I’ll want to visit more regularly, even if it’s just to window shop and wander around the historic area. Last Wednesday, we were at the airport waiting to board our flight. Originally, we were suppose to fly out at 7:35 p.m. But because of fog in Toronto (oh the IRONY that it was fog IN Toronto stopping us from flying to Newfoundland…). So while I was at the airport and bored, I was working on a new dishcloth pattern I found online (photo below). After multiple flight delays, we finally flew out just after 11:30 p.m.
I’m still a little burnt out from all of my Christmas knitting, so dishcloths are an easy outlet for knitting some new patterns, but without taking on too big a project at this point. I do have plenty of yarn in my stash and I’ll have to get cracking on some new things, but not until after the cruise we’re going on in the first week of March (more details later). Some may feel that dishcloths are simple and a waste of time, but I have friend and family who really enjoy them. And this latest pattern is something you really have to follow to the letter since there’s actually a right and wrong side. So while waiting in the airport, I did end up frogging back a few rows. It’s difficult to see the pattern in this photo, but you’ll be able to see it more once it’s further along. It has a lot of seed stitch and that added texture should make it handy for scrubbing dishes and pots that frustratingly need more soaking.